Hi-5 High: 1, 2, 3, 4... Hi-5! I'd been meaning to blog about this last weekend pa after watching the show but I got so busy with Y, prepping for R's first solid food, and well, it's the holiday season! Everyone's busy with shopping and eating hehehe! The moment Kaye tweeted that Hi-5 was coming to Manila last October, I was so excited for Y that I bought front row tickets agad! 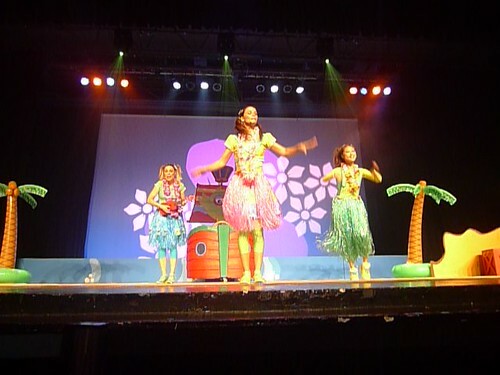 I got us the 7pm show for last Saturday (December 15)! The day before, I was already psyching Y about it. I told her we're watching Hi-5 tomorrow and she couldn't stop talking about it and she kept telling that to her yaya and our helper. Hehe cute! I didn't think she'll understand yet but I guess she did! :) On the day, we had a very busy schedule! We needed to go the pediatrician and I wanted her to nap so she'll be energized and enjoy the show! But we made our schedule work. After our check up at the pediatrician, my family of four went to Mall of Asia for Hi-5 Holiday Show, but it was just me and Y watching. 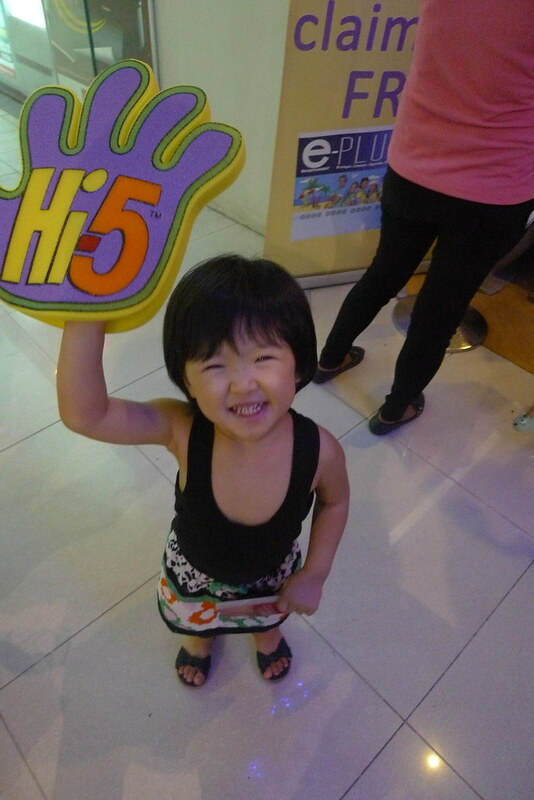 :) When we got to the mall, we saw a lot of kids were wearing the Hi-5 Foam Finger and Y kept pointing at it and making kulit about Hi-5. 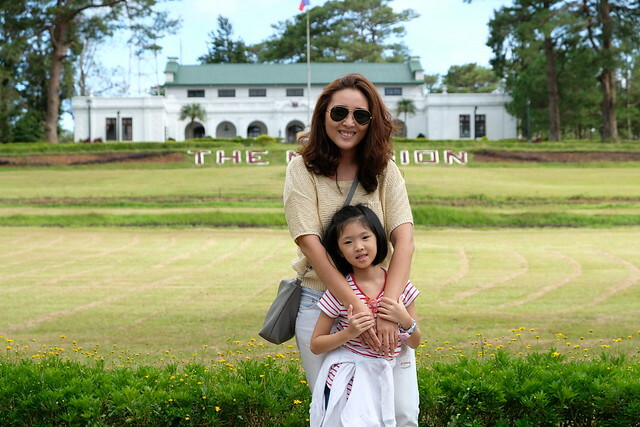 We were there before 6PM so we had to wait pa. 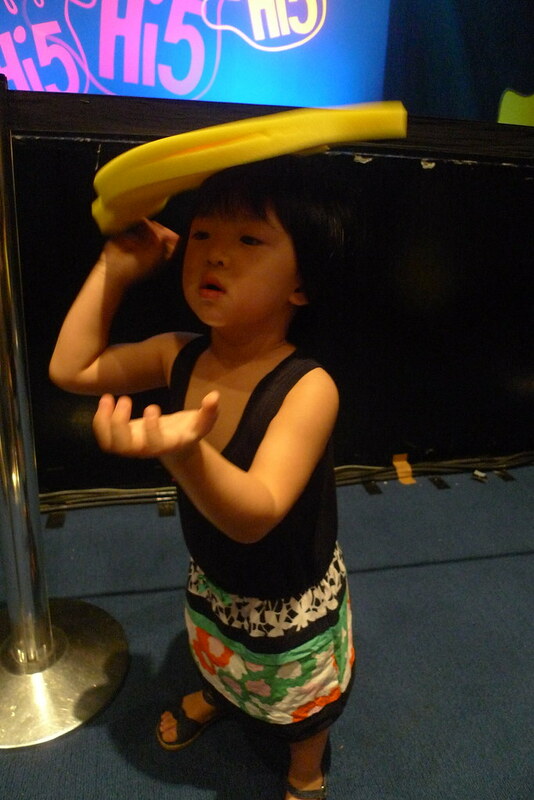 I saw Kaye and her son, RL, while lining up for the SM E-Plus Card then after I went to buy Y a foam finger for Php210. The other merchandises were expensive na, the foam finger was the cheapest! 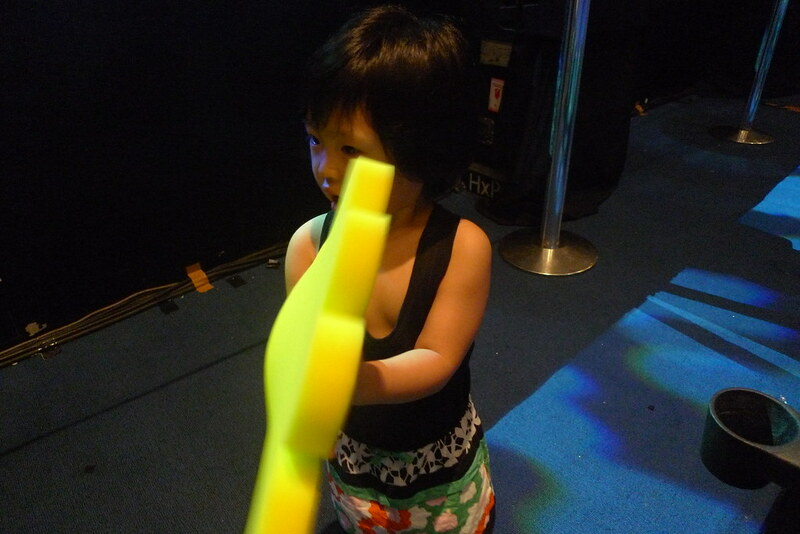 Happy with her Hi-5 hand! 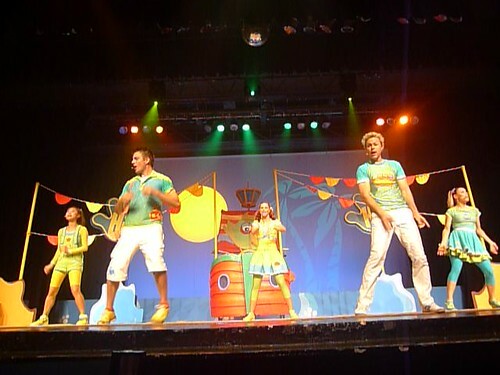 When we went it, it was still around 20 minutes before the show starts. We were seatmates with Kaye! 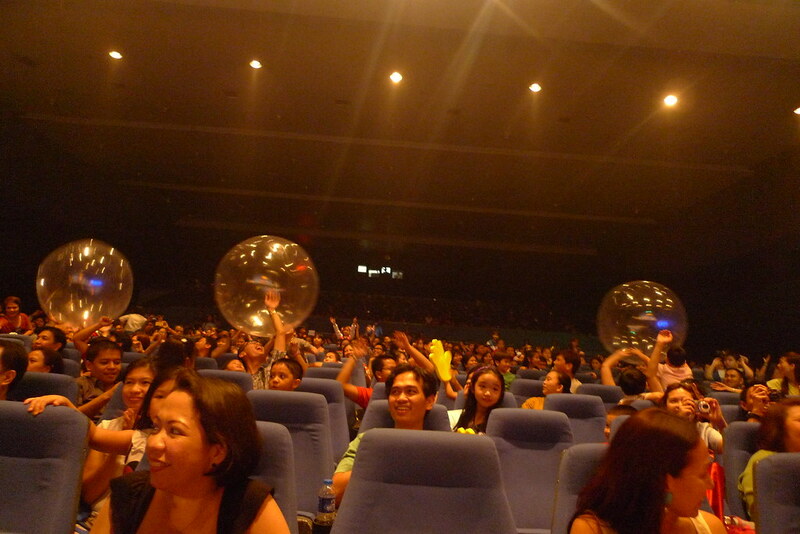 The show started on time naman. Y was just sitting at the first 2 songs I think, nanibago siguro. Haha! But after the 2 songs, she started dancing and singing na! 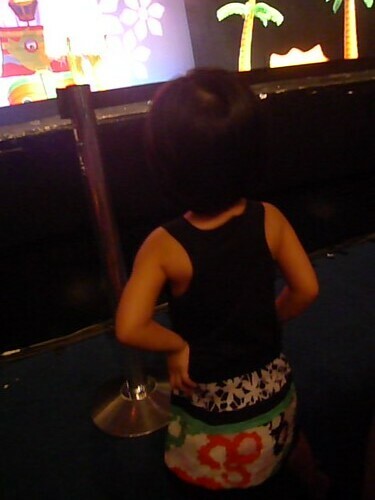 I was glad to see my daughter enjoying the show! Kung hinde, sayang ang 4k ko! LOL! This girl came out 5 minutes before the show started, pampa-excite! Forgot her name though. We missed this. :( But I'm pretty sure my 10 month old baby girl will enjoy this. 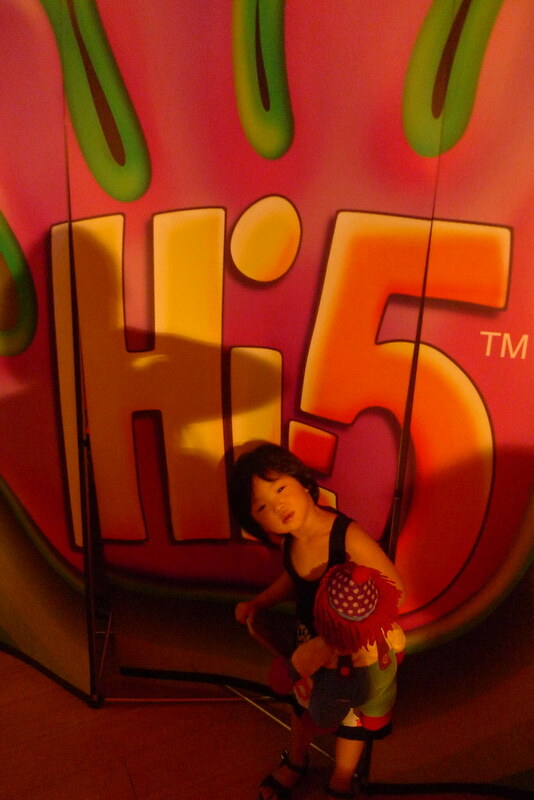 She loves Hi-5 so much!